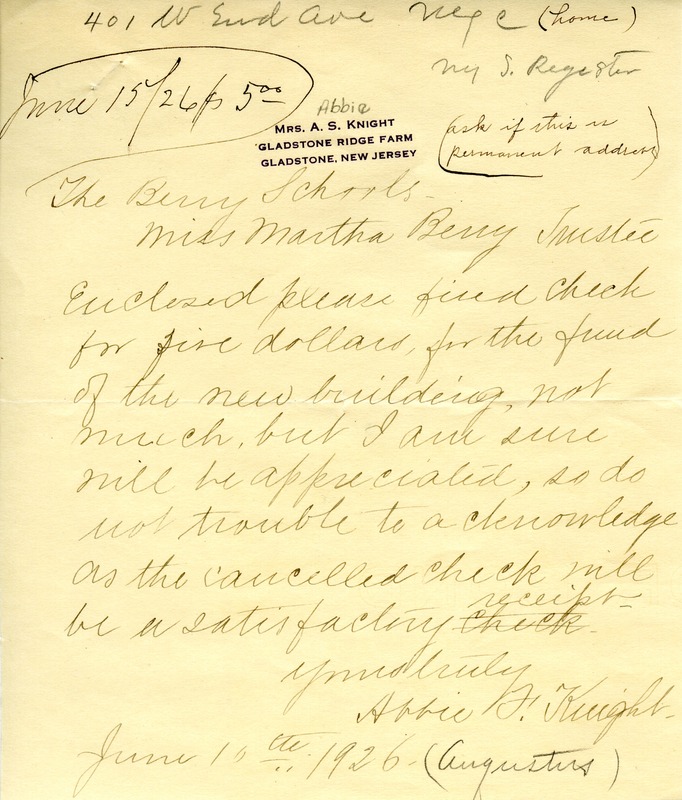 Mrs. Abbie Knight sends a $5.00 contribution to help towards the new building. Mrs. Abbie Knight, “Letter from Mrs. Abbie Knight to Martha Berry.” Martha Berry Digital Archive. Eds. Schlitz, Stephanie A., Kelli Kramer, et al. Mount Berry: Berry College, 2012. accessed April 26, 2019, https://mbda.berry.edu/items/show/1730.